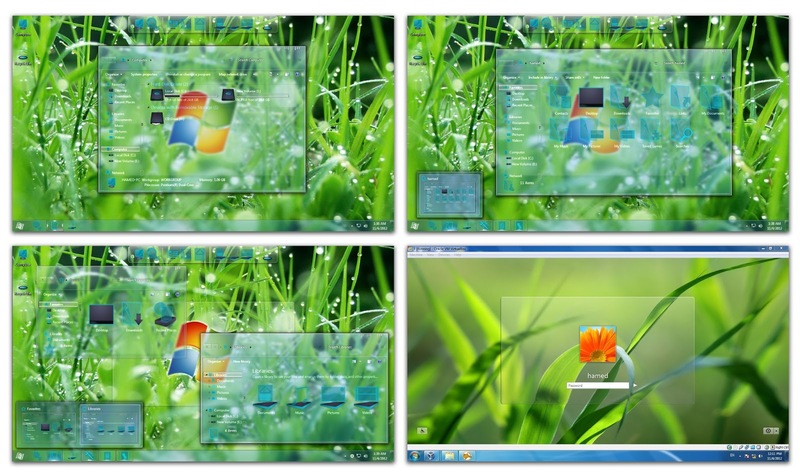 Glass Skin Pack is a transformation pack for Windows 7 which helps in transforming Windows 7 into Glass UI. The users who like Glass, can download Glass Skin Pack. This skin pack has been created by our friend hameddanger. It is available for both 32-bit and 64-bit. Links for both versions are given in the download page. To install this skin pack, you should uninstall any other already installed skin pack. How To Install and Uninstall A Skin Pack ?